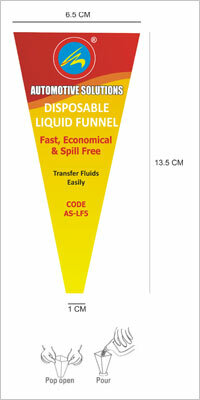 We offer disposable Liquid Transfer funnel to transfer any type of oils & paints where transfer of fluid is required to eliminate any kind of contamination that occurs when lubricants are transferred through dirty reusable funnels. 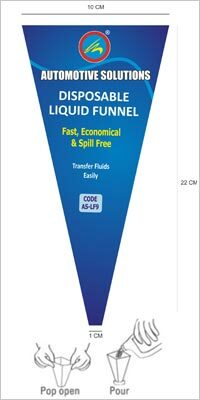 We offer these funnels in various customized sizes to suit the specific needs of our customers and supply them in India & Globally. 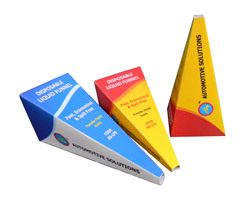 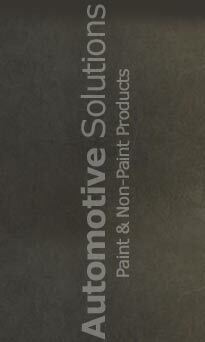 Available in customized labels & packing. 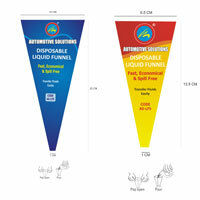 liquid transfer funnels are designed to give very high refined quality finish.